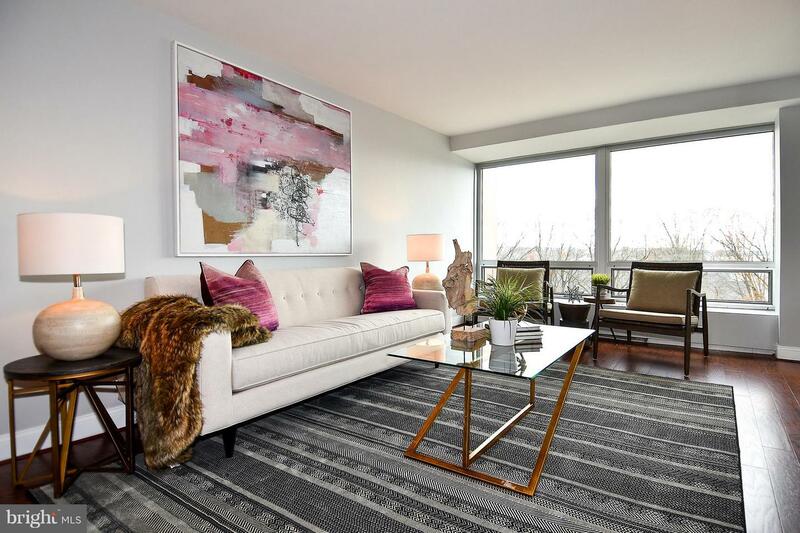 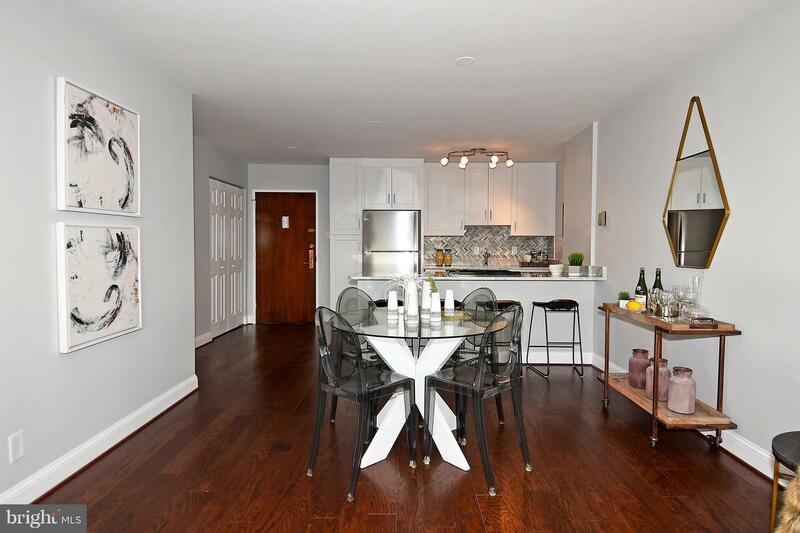 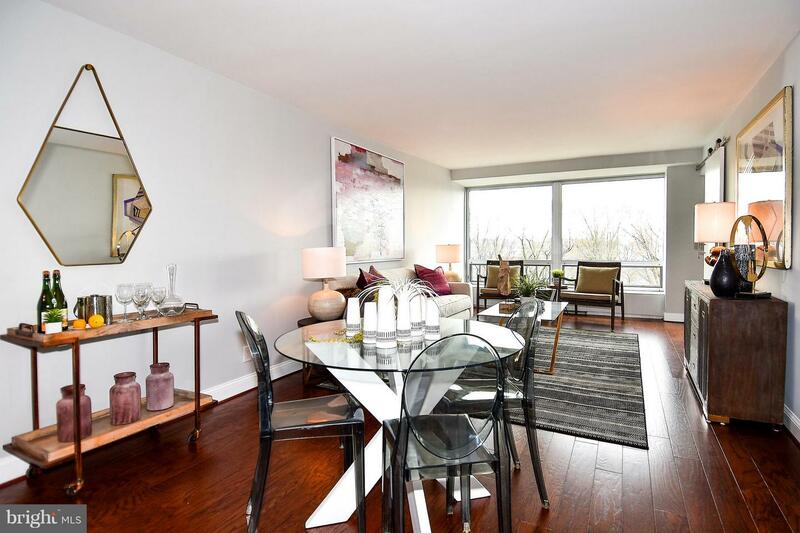 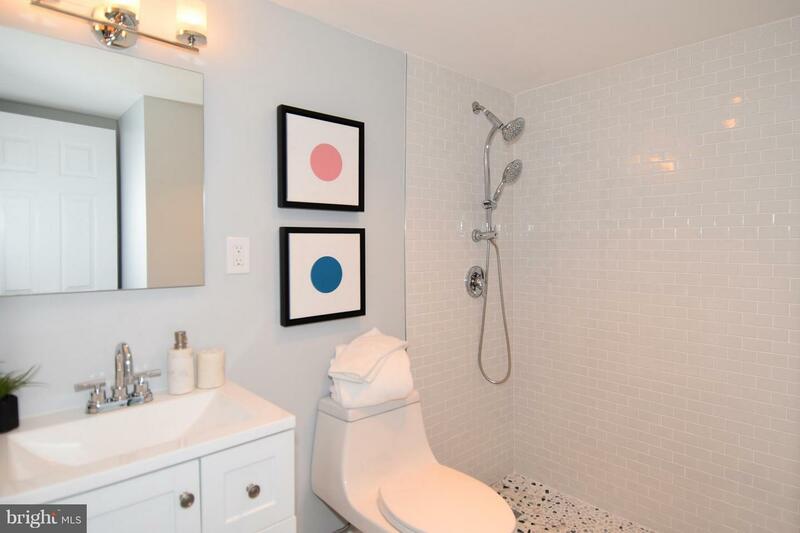 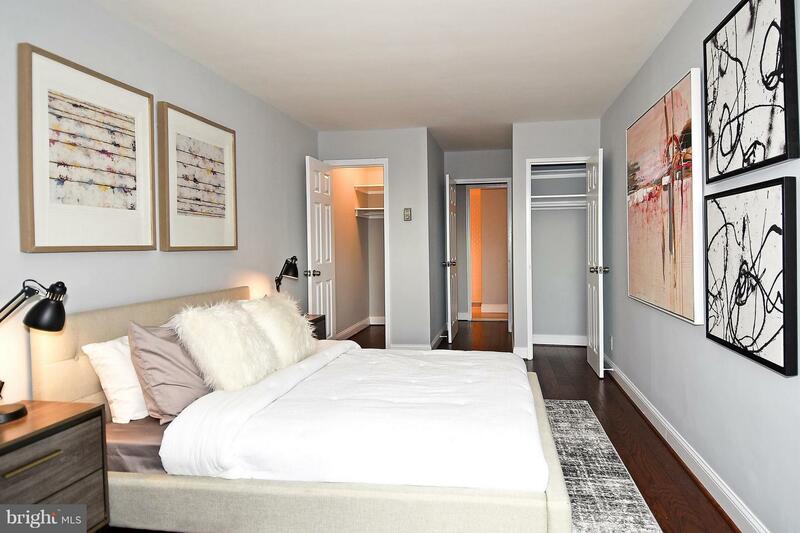 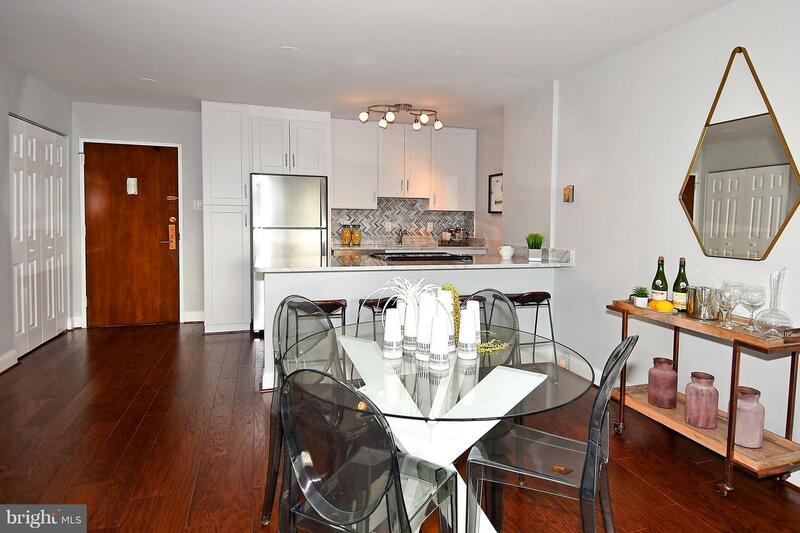 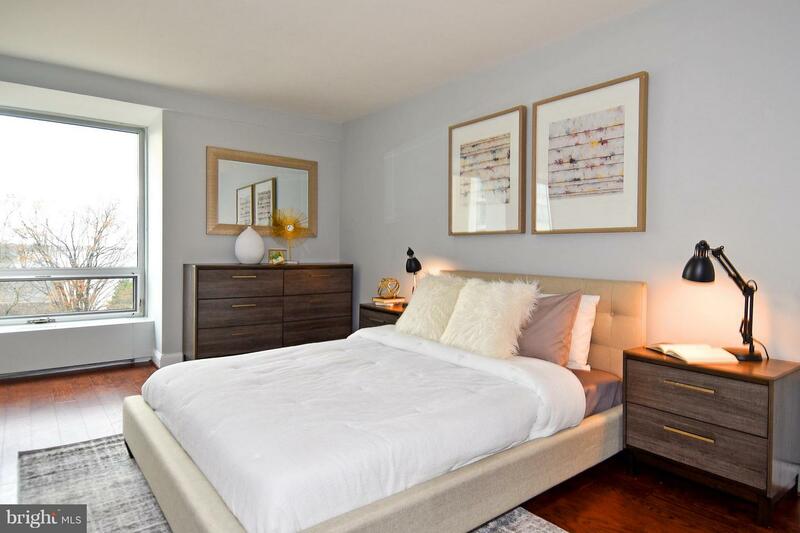 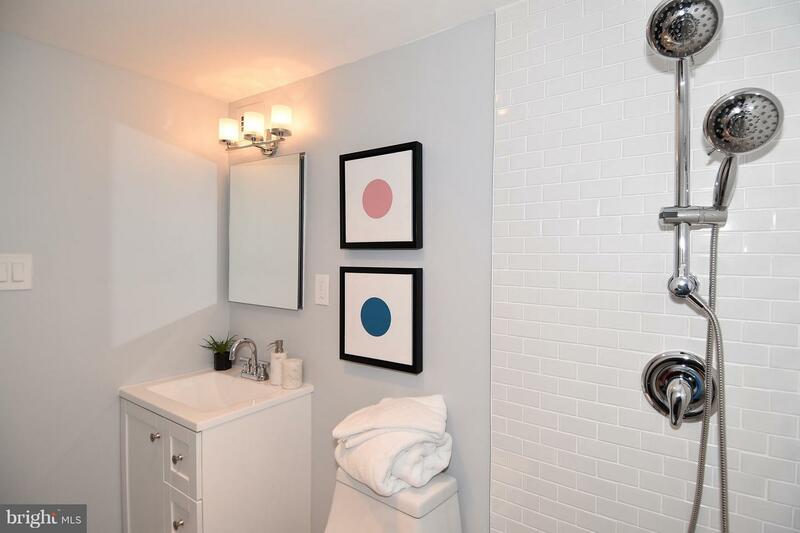 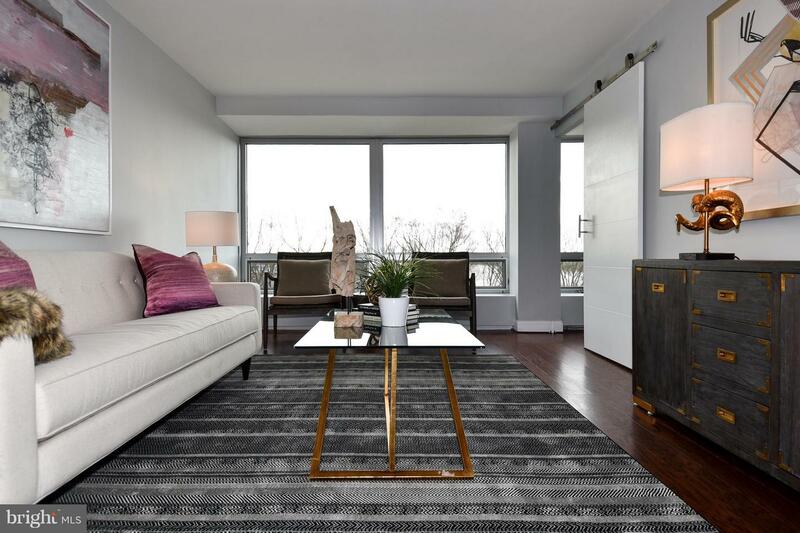 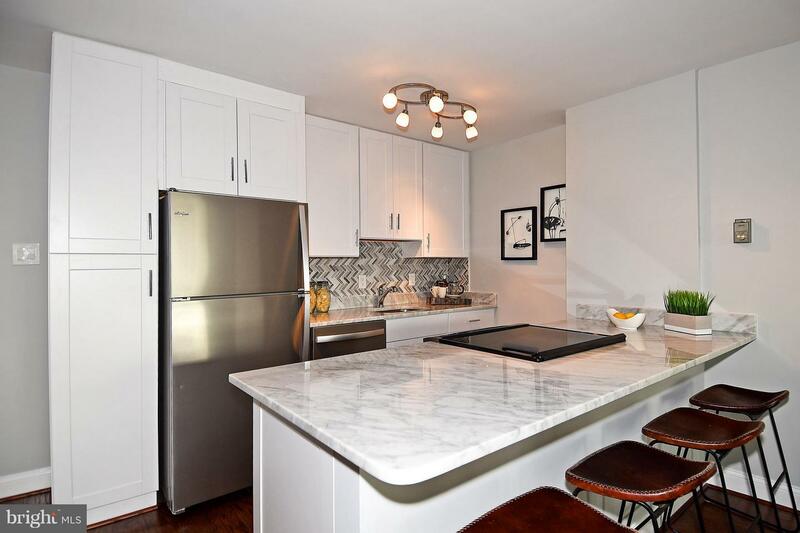 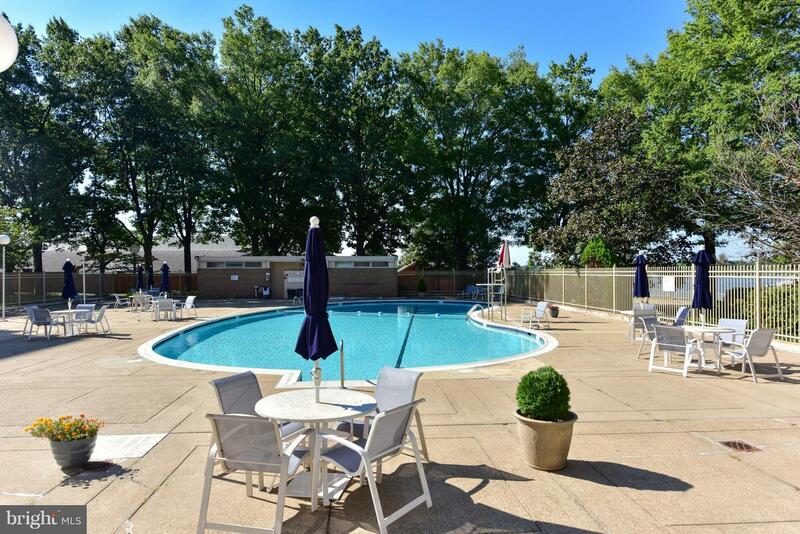 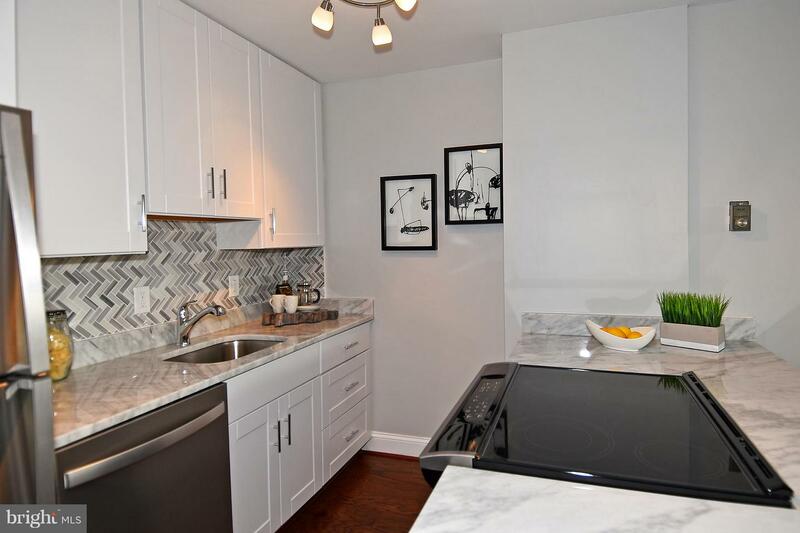 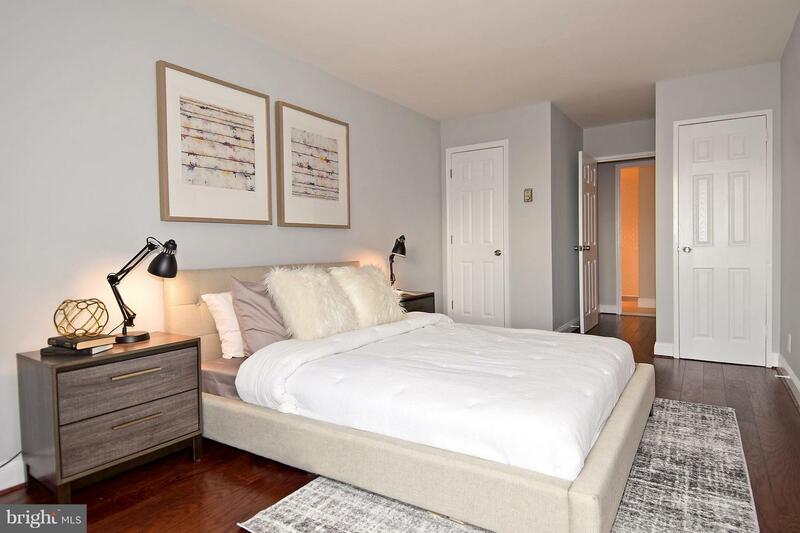 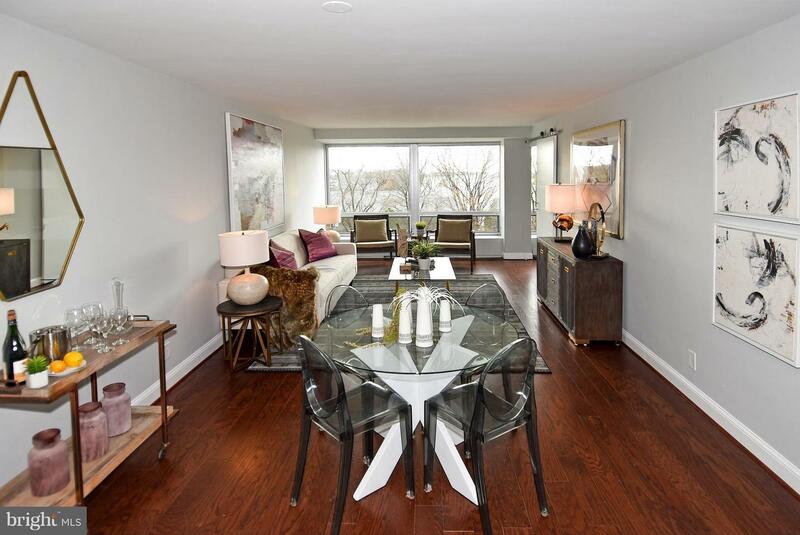 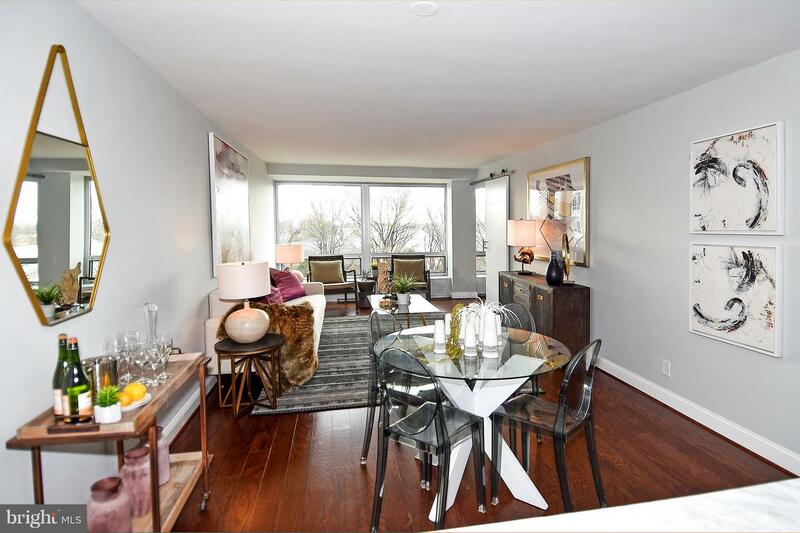 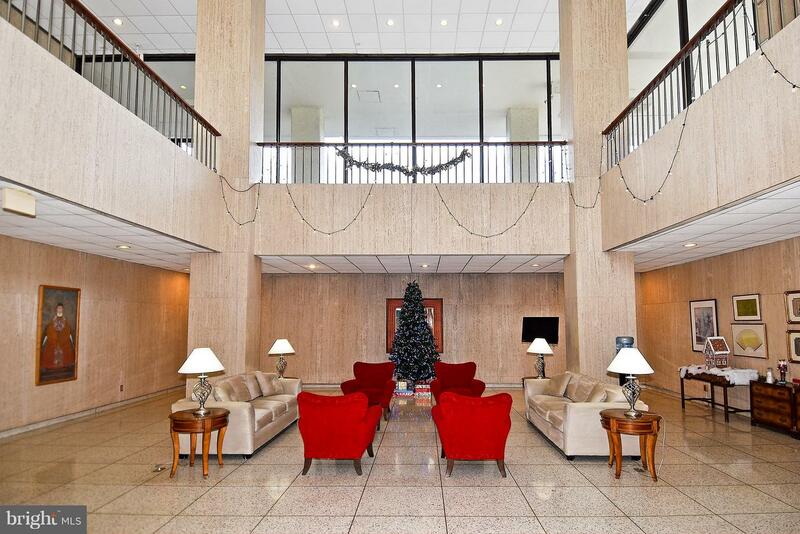 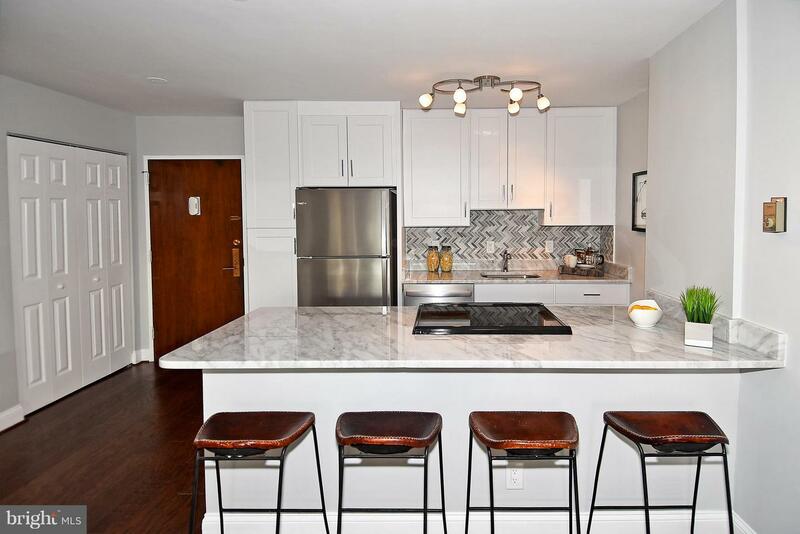 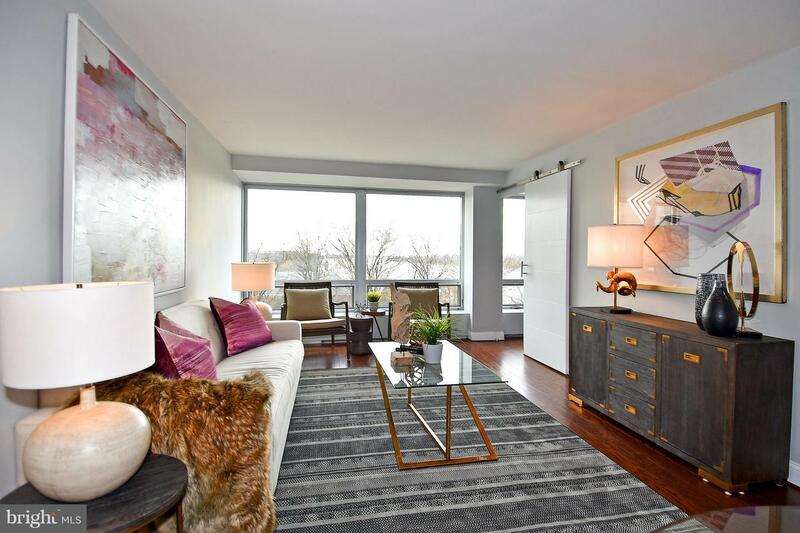 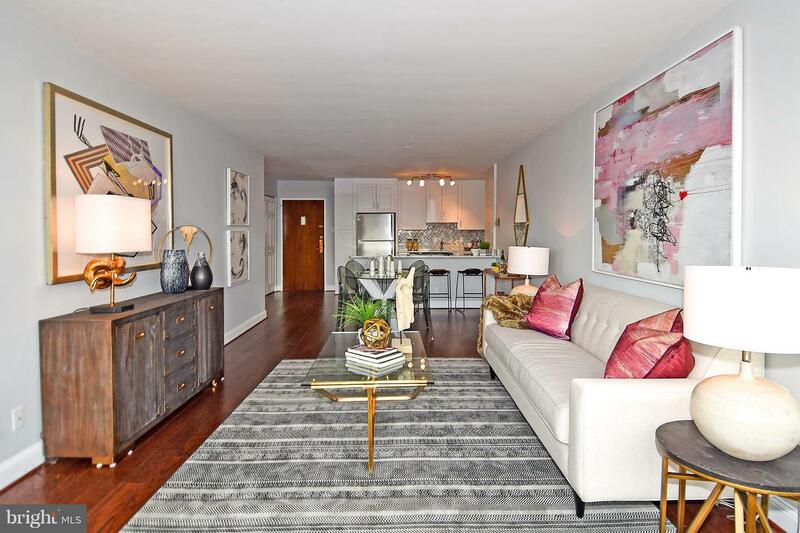 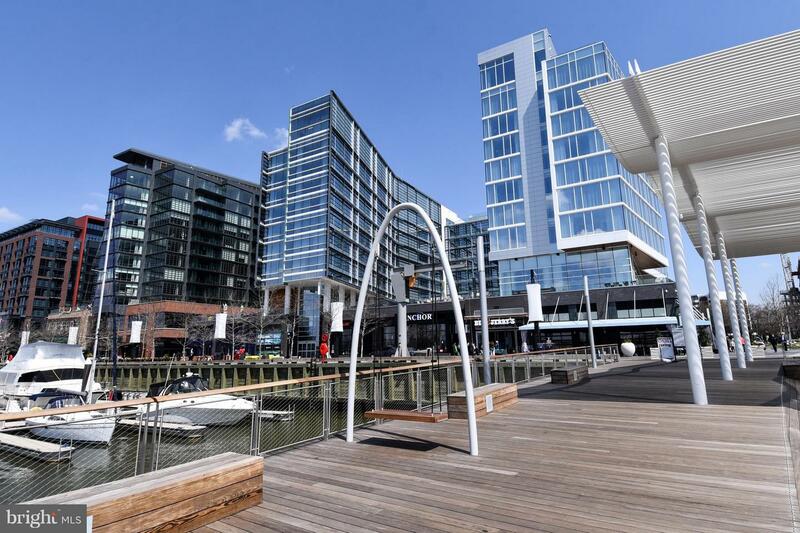 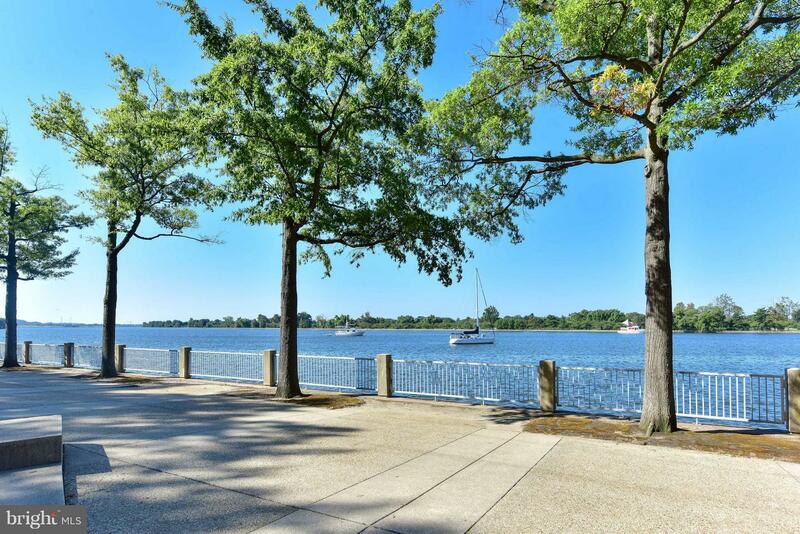 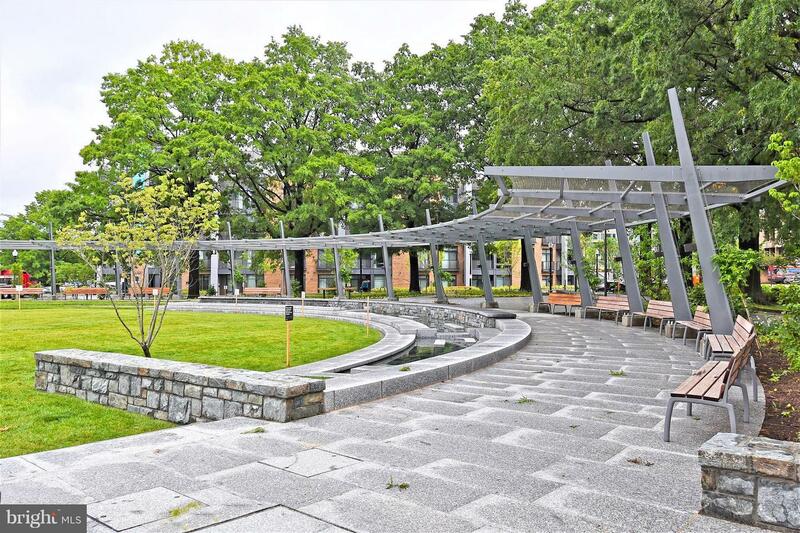 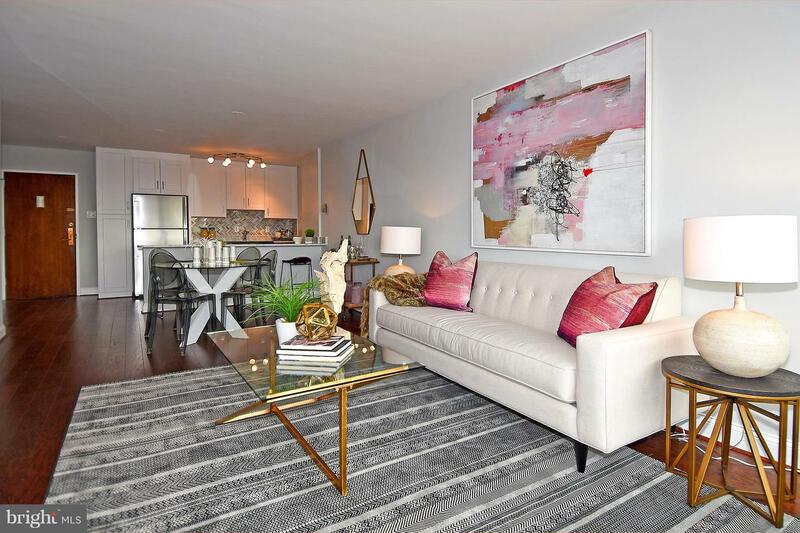 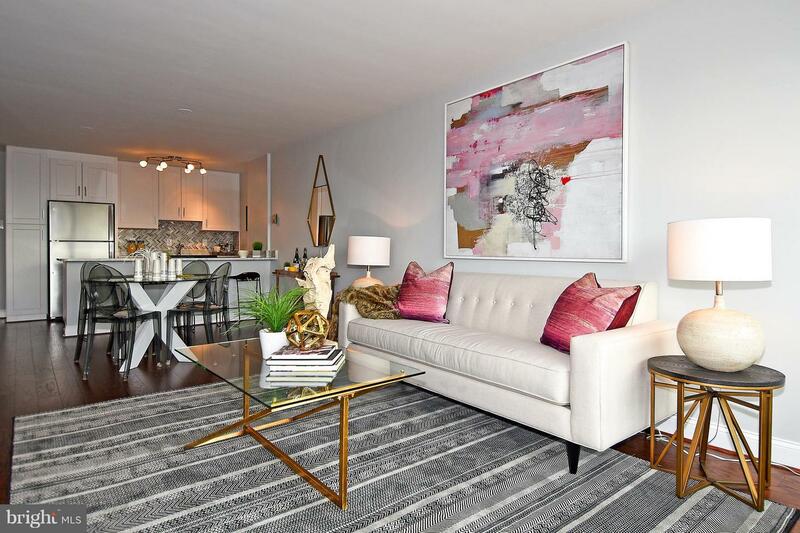 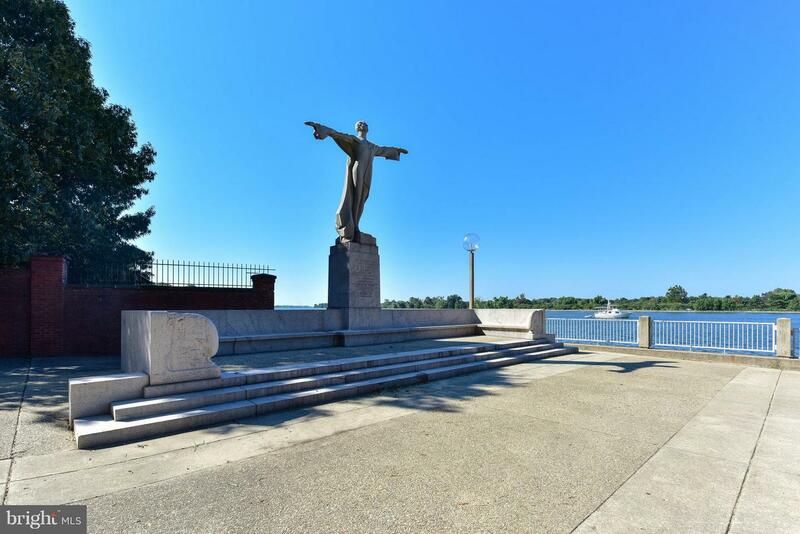 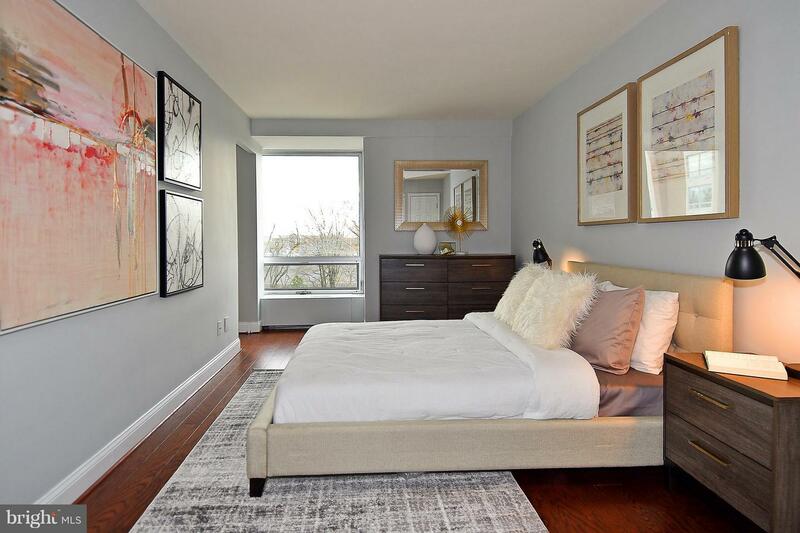 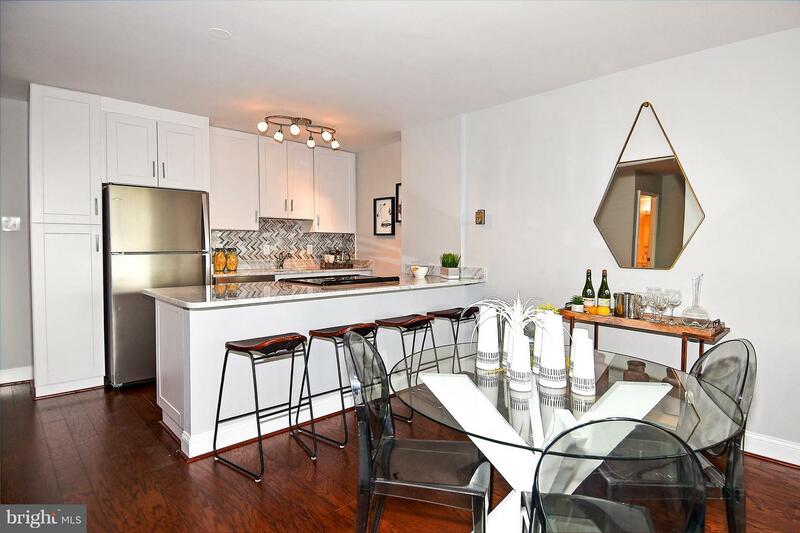 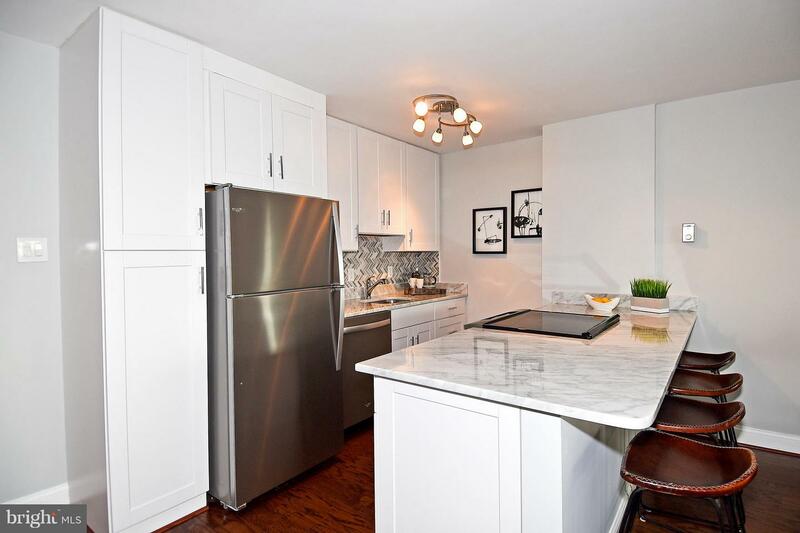 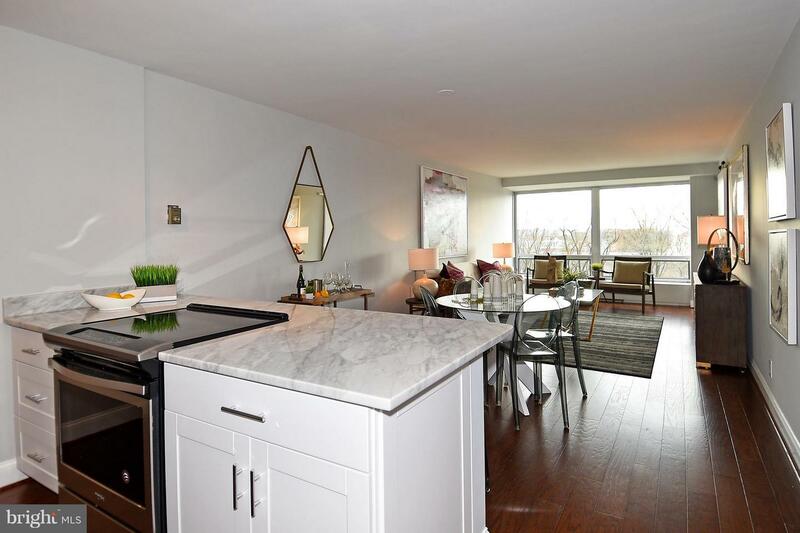 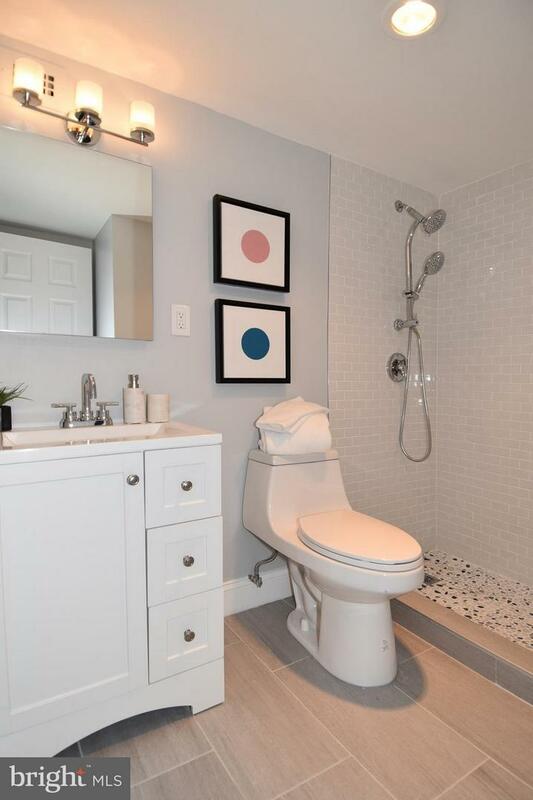 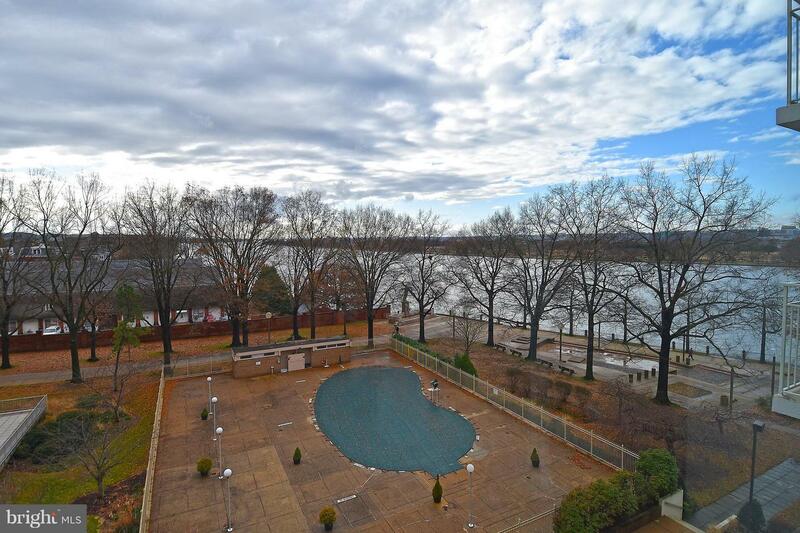 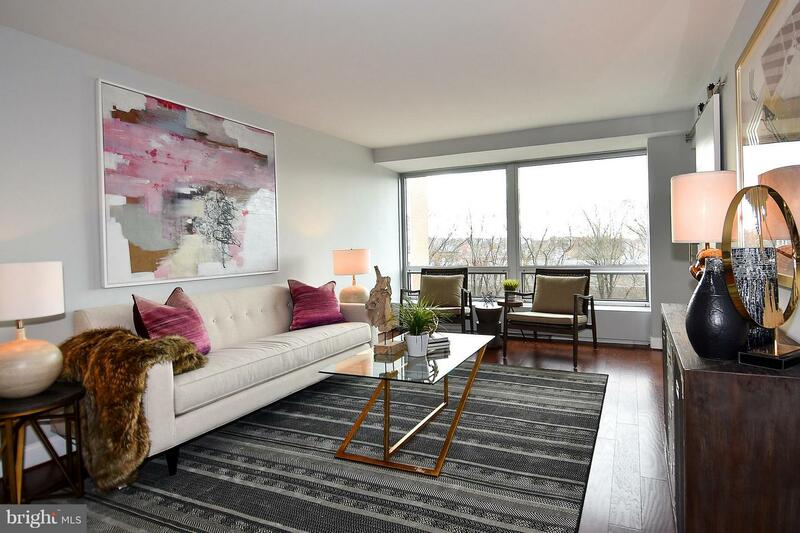 You will love this beautiful renovation of a spacious one bedroom condo on the SW Waterfront! 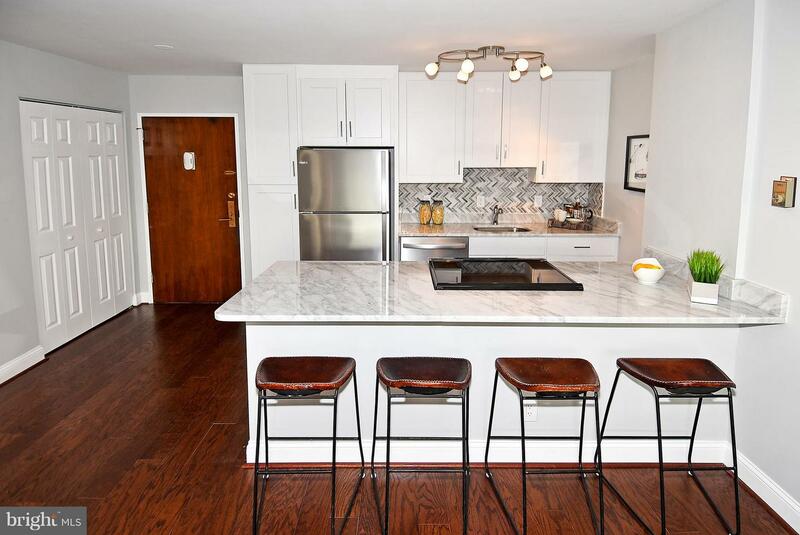 Kitchen with white cabinetry, stainless appliances, granite counters and breakfast bar open to spacious living & dining area offering amazing water views! 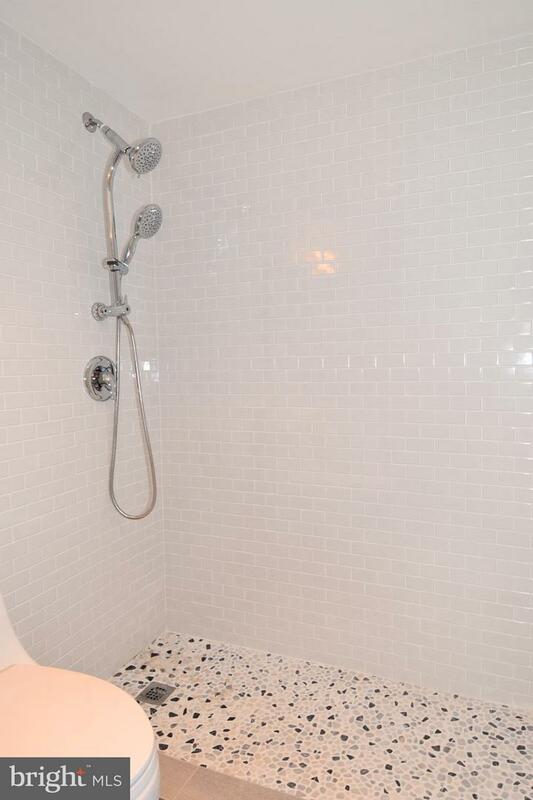 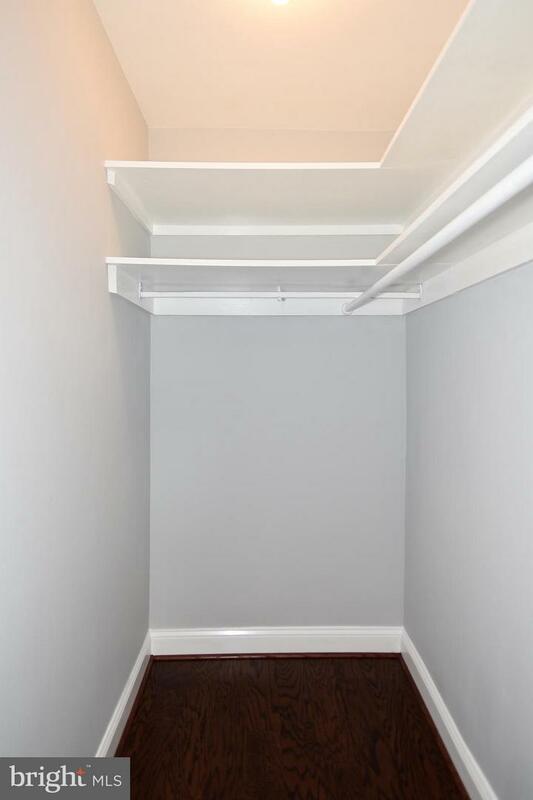 Beautiful new hardwood floors, gorgeous bath with walk in shower and garage parking top of this great find! 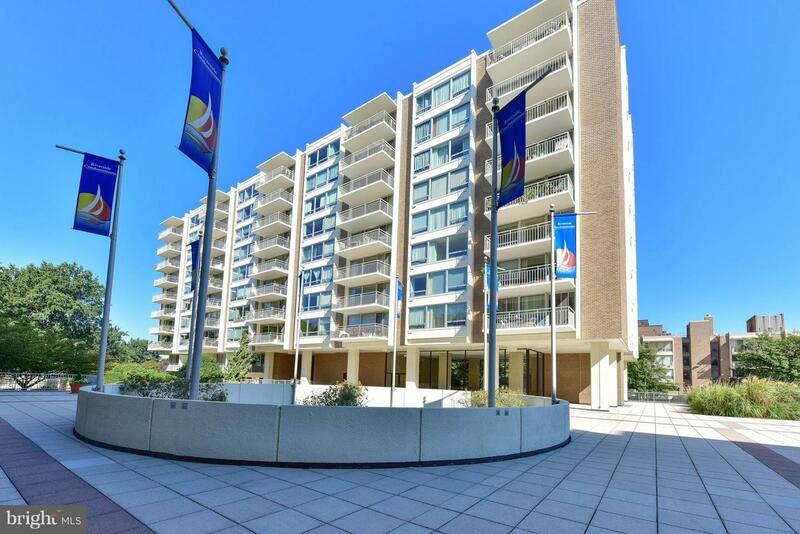  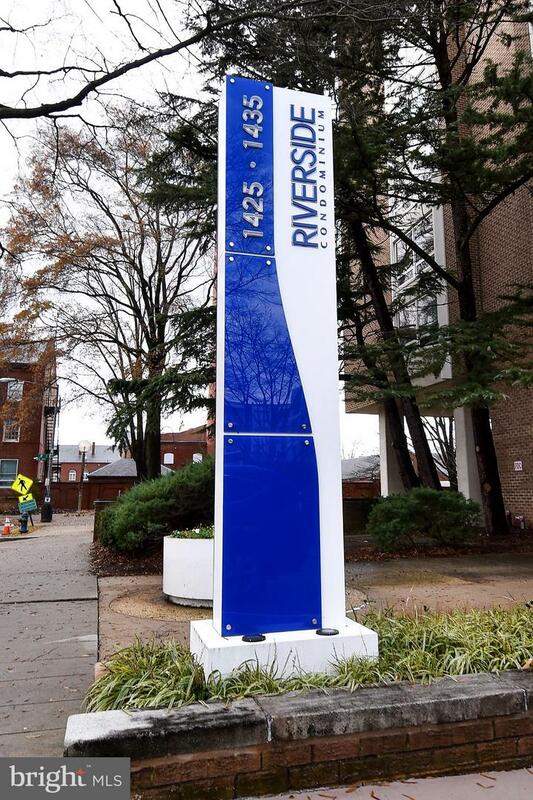 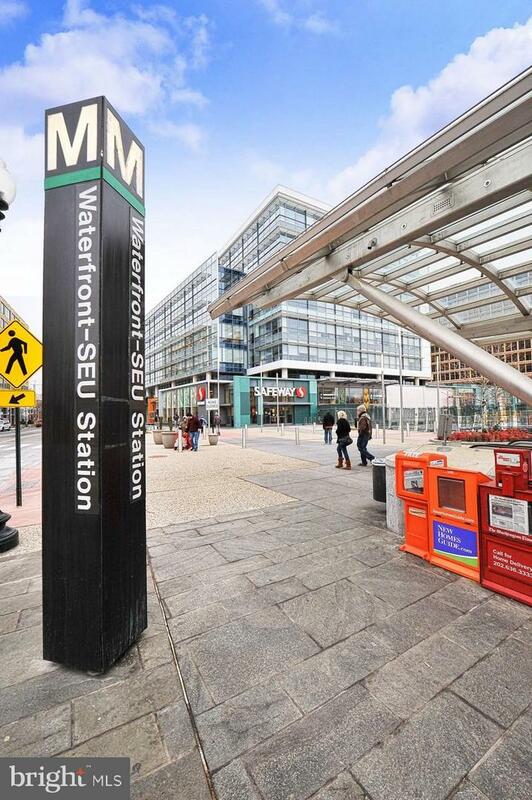 Just blocks to the Metro and the District Wharf!